Thyroid is an important gland of the body which controls and regulates the metabolic activity of the body. It also secrets the growth hormones and therefore it is important to keep it functioning normal. Hypothyroidism and hyperthyroidism are the two most common abnormal activity situations of thyroid. The former happens when the TSH levels are way above the normal levels whereas the latter happens when the TSH levels are below the normal activity. 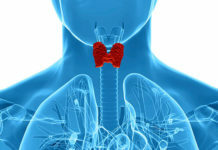 Besides, the TSH level, the T3 and T4 levels are also considered for determining functioning of thyroid glance. Check out the details of thyroid function test and feel free to call for their prices. Basic TFT test is also conducted under the whole body check up package.